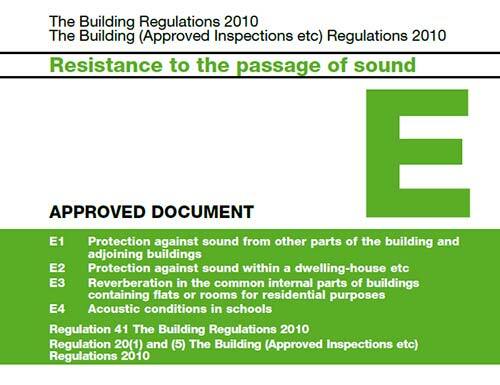 The purpose of this project is to carry out a review of the sound insulation provisions (Part E) in the English Building Regulations and the criteria used to express performance. This research will investigate and quantify any apparent problems with the current performance criteria used in Part E of the Regulations and its associated Approved Document (AD E). It will identify options for rectifying the identified problems with the standard and options for improving it. It will also investigate the potential effect on Part E from developments in international standards (CEN & ISO) and identify options for change with an assessment of likely impacts for all options. 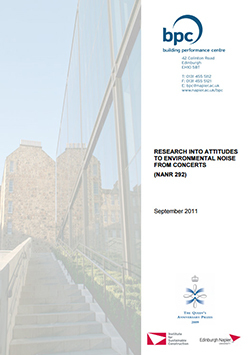 The project will examine the current regulations and guidance in relation to the workstreams (see Description of the project) and explore and present robust evidence to enable DCLG to develop policy options for possible improvements, simplification and changes of regulatory standards and guidance. Such evidence will also consider developments in construction technology to ensure Part E and the guidance contained in the Approved Document remains fit-for-purpose.